Derek Roddy is acclaimed as an accomplished clinician and educator and is expert in any drumming style including Extreme and Modern Metal, Jazz, Blues and Rock. The Derek Roddy Signature Edition A21 with Electronic Kit incorporates the A21 beater bracket and includes ideas from Derek and his forum to make the pedals more user friendly, such as the drum key adjustments for the beater angle adjustment and Variable Drive Lever. Also, locating posts on the base plate prevent having to change the settings for the drum beater and Electronic Kit detonator angles. The self contained Electronic Kit allows triggering without the use of external adhesive piezos eliminating cross-talk and double triggering. The base plates are smooth with the distinctive design applied by laser. An extended length bearing swivel rocker, The Deep Rocker, has been added to the spring assemblies giving a more immediate and powerful spring response. 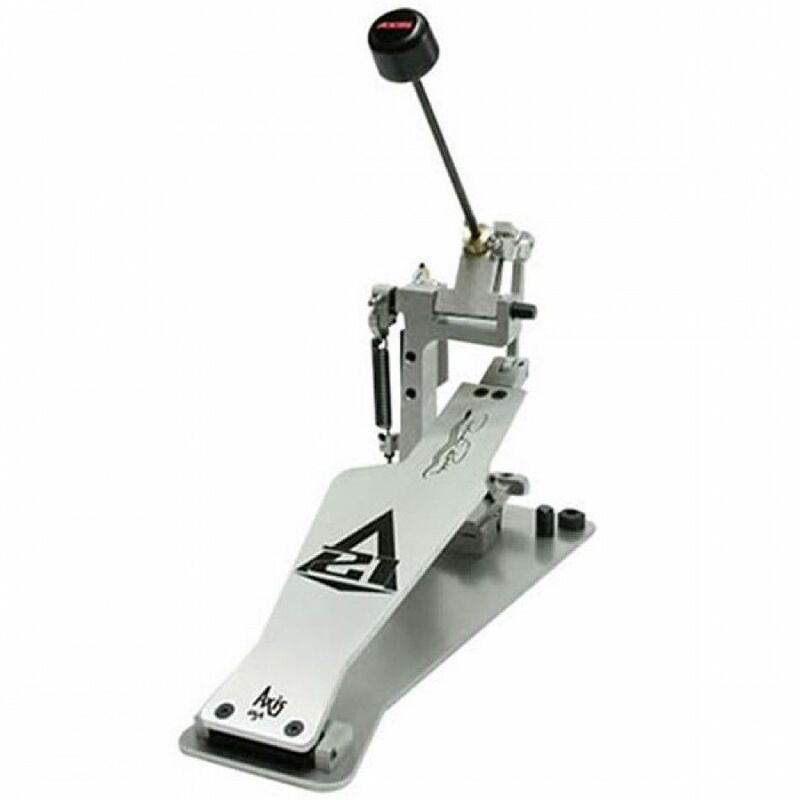 The Derek Roddy Signature Edition A21 Double Pedal with Electronic Kits uses three spring assemblies to power the pedal and two Electronic Kits, one EKIT per pedal. The additional spring assembly on the slave pedal keeps the spring return action close to the slave pedal and allows for quick conversion from a double pedal to two single pedals. Derek approvingly road tested and evaluated the new models, and we are proud to offer them as his signature pedals. Footboard for Derek. Incised lettering AXIS and USA. Laser 21 and Autograph. Black or Silver.